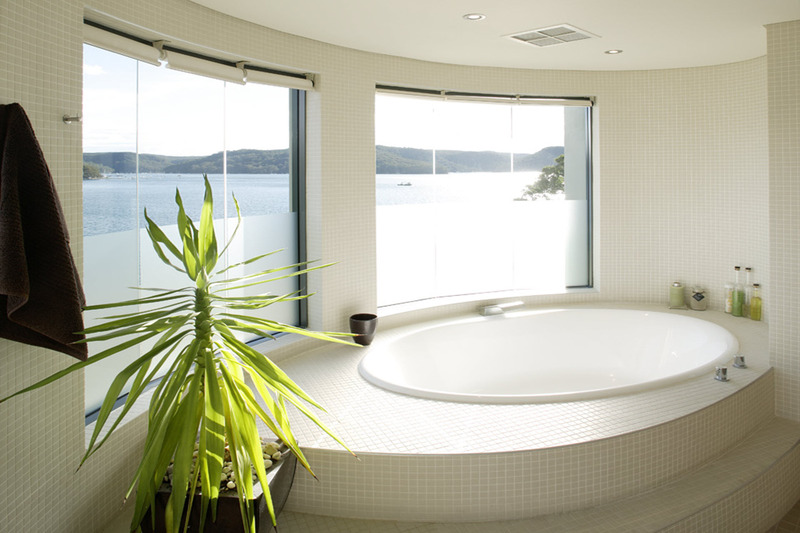 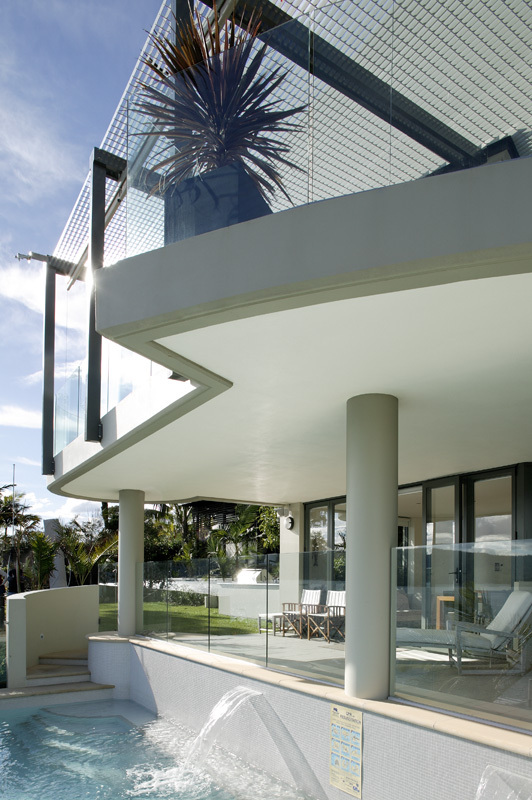 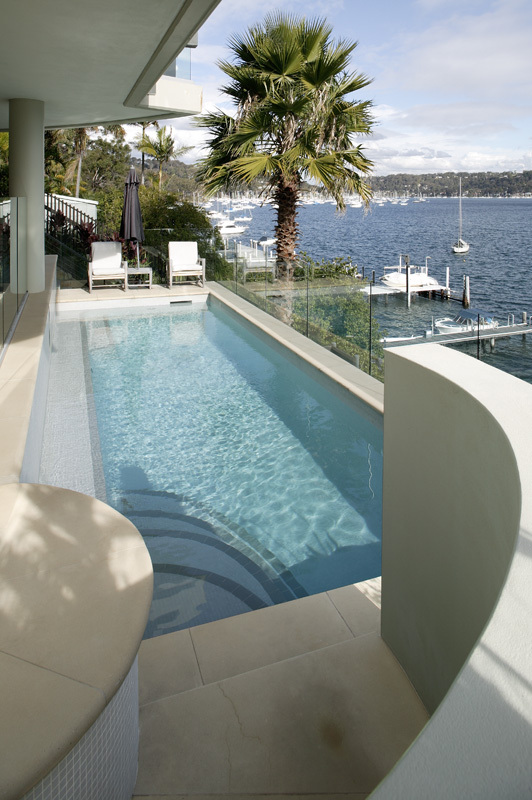 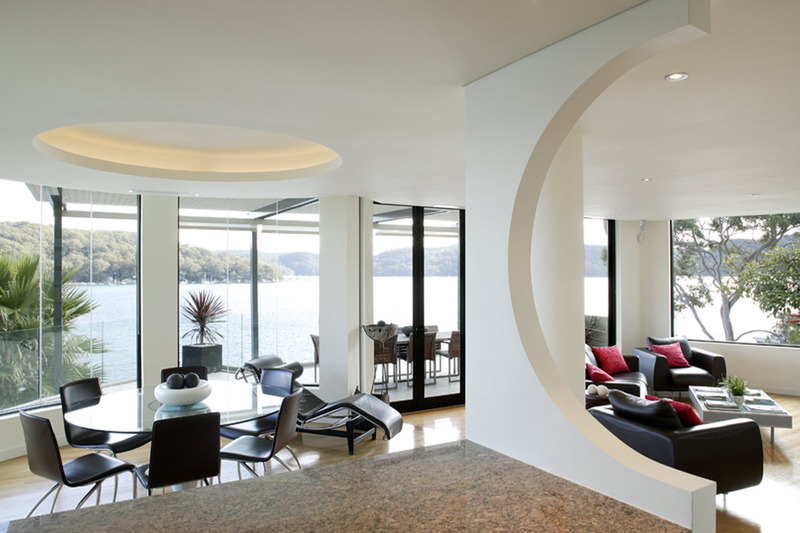 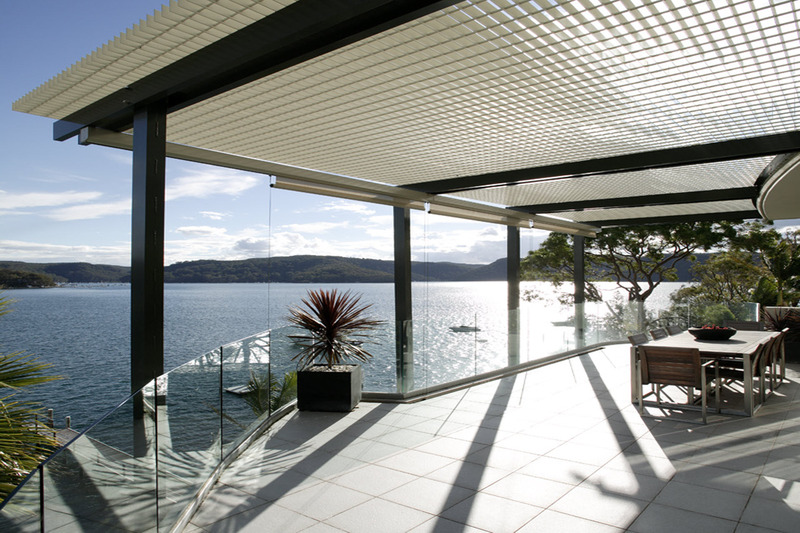 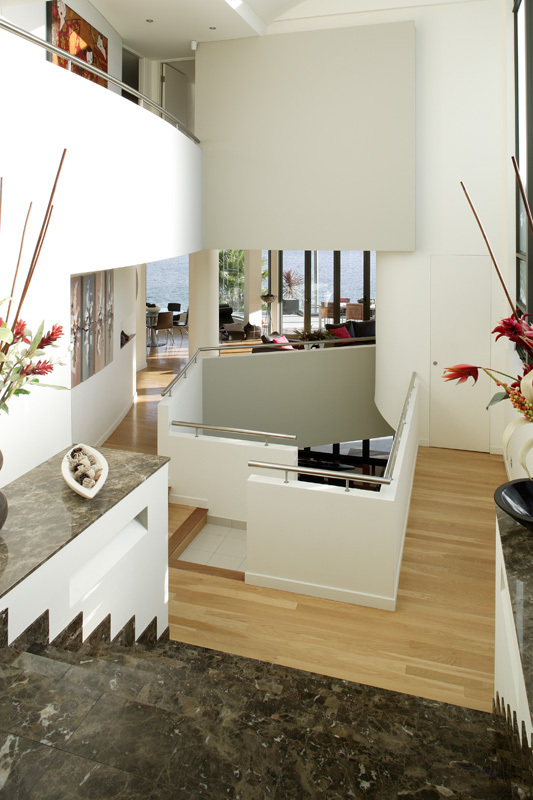 The project involved the demolition of an existing residence and construction of a new dwelling boasting 4 spacious bedrooms with individual ensuites, spacious living areas, magnificent kitchen, movie/theatre room, terraces and pool, in addition, this distinctive building sits overlooking Pittwater with a personal jetty and boat shed. 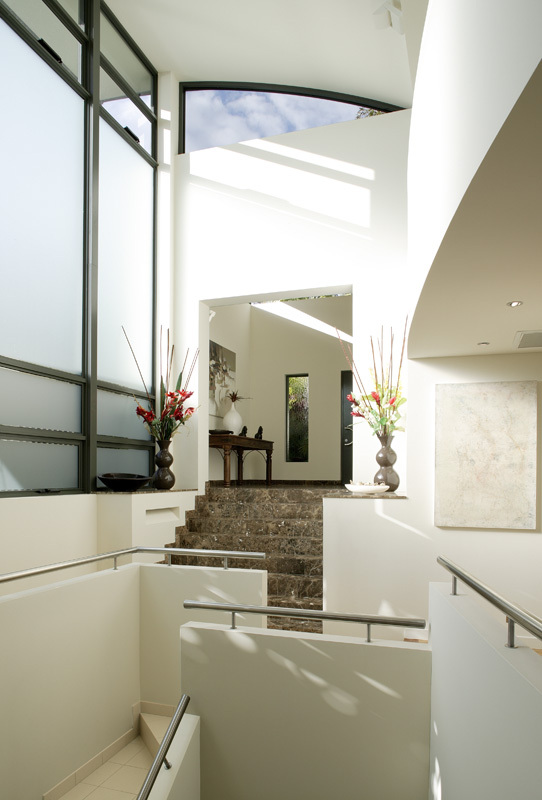 A real architectural feature of the building is its main theme, being an emphasis on circles and curves this theme features in many areas of the building from curved walls to a stand out at the rear of the building, with a corner of the building being a complete semi-circular shape and then tampering back on a curved on approx. 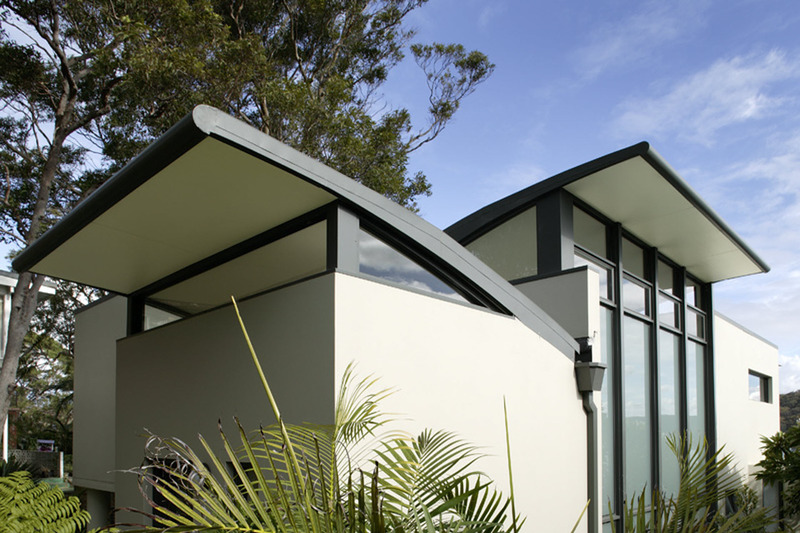 45 degrees, in addition the main roof also emphasises a curve from one side of the building to the other, which can be seen from the street.